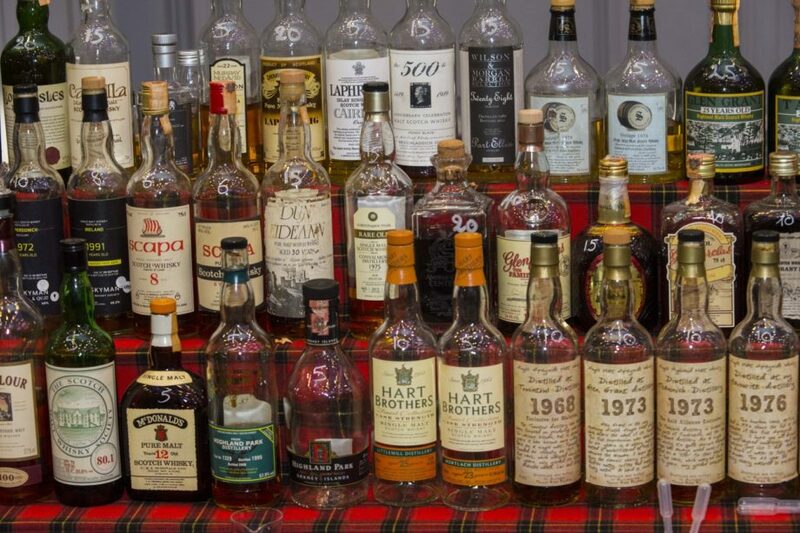 Home WHISKY & WHISKEY Scotch Whisky Old & Rare Whisky – Where do I start? No Comments on Old & Rare Whisky – Where do I start? Since its very beginnings, The Whisky Exchange has had a focus that sets us apart from other whisky shops: we love old and rare whisky. Co-founder Sukhinder started as a collector of old bottles and that grew into The Whisky Exchange – we’ll be celebrating our 20th year online later in 2019, and he’s been collecting even longer. Whisky is far from static. Over the centuries of production, the spirit has changed hugely. From uisge-beatha, an unaged spirit infused with herbs – a proto-gin – it has gradually become the oak-matured whisky that we know and love today. While we haven’t had a huge jump comparable to the ‘what happens if I put this in a cask?’ moment in recent times, whisky these days is not the same as that produced even as recently as the 1980s. Since the early 1980s, for example, regulations on sherry production have changed the way that sherry casks for whisky have been made; meaning that a sherry-matured whisky from that period might taste significantly different to one produced more recently. Step back further, to whisky distilled in the 1960s, and you can easily find large changes, especially in the types of casks used: bourbon casks revolutionised whisky making when they started appearing in the 1950s, imbuing whisky with new flavours which we now so often take for granted. Some people like older whisky bottlings for collecting, but for us it’s all about taste. Seeing how the flavours created by the distillers, warehousemen and blenders have changed over the years. Old whiskies aren’t necessarily better, but they are different, and that difference is what we enjoy looking for. With so many whiskies available, launching into the world of old and rare bottles can be daunting. But worry not – here are a few easy ways to start your journey. One problem when first setting out to try older bottlings – especially single malts – is that they can be expensive. If you’re looking for a more reasonably priced place to start and develop your palate, then old blends are great. The way that whisky has been blended has changed a lot over the years. Ratios of grain whisky to malt have shifted, with older blends often having much higher malt content than we find these days. 50% malt/grain recipes weren’t uncommon, compared to the 20% and lower malt whisky content that we usually find today. The components of the blends were also quite different to today. Not only were the single malts not the same, with different yeasts, fermentation times and distillation techniques used, but the grain whisky has also changed. Changing tastes and new technology has led to a lighter style of whisky, both of grain whisky and modern blended whiskies. Stepping back to the 1980s is enough to find whisky of a different style. If you find whiskies from the 1970s and earlier, with components often distilled in the 1960s and further back, things change even more. With just a few bottles you can start to unpick the recent history of whisky. Our next tip is sharing whisky. While that’s at the heart of all whisky for us, when it comes to old and rare whisky, especially more expensive bottles, it’s worth bringing together a like-minded group to share the costs and, more importantly, the experience. A whisky drunk with friends is almost always better than a whisky drunk alone. Sharing the tasting experience is even more fun with old and rare whiskies than with modern bottlings. Comparing and contrasting your experience with others is better when the whiskies are unfamiliar, as old and rare drams almost certainly will be, at least to start with. Outside of informal groups of friends, there are whisky clubs in most major cities around the world – a quick “whisky club” search should turn up at least one entry. And if not, why not start your own? The single most useful thing for old and rare whisky fans is a place where they can try them without having to buy a full bottle. While many bars offer the chance to try recently bottled whiskies, there are far fewer that specialise in old and rare releases. 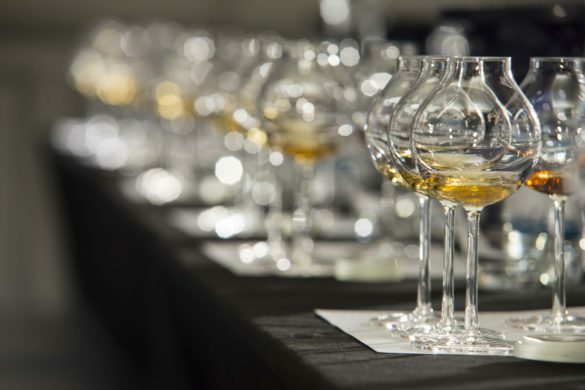 There are also a few whisky shows around the world that cater to an audience who want try interesting old whiskies, from Limburg’s Whisky Fair and the Whiskybase Gathering in Europe to an increasing number of shows in the far east. However, as you’d expect, we’d recommend heading to Glasgow at the end of February for our own event – The Whisky Show: Old & Rare. In the end, the idea behind them all is the same: gather a selection of the top whisky shops and bars out there, as well as the world’s best-known collectors, hook them up with some whisky fans who want to buy their whisky to try by the dram, and let nature take its course. Whisky Shows are almost always significantly cheaper than buying the same whiskies by the glass in a bar, with many also offering smaller sample sizes than you find in bars – a 1cl pour is standard at The Whisky Show: Old & Rare. You don’t need much of a whisky to be able to tease apart its character, and with 1cl pours you always have the chance to go back for more if you love a whisky. And one thing’s certain when you drinking old and rare whisky – you’ll find something you’ll love.